The seat should not be too long for your legs otherwise it will either catch you behind the knees or it will prevent you from leaning fully back against the lumbar support. 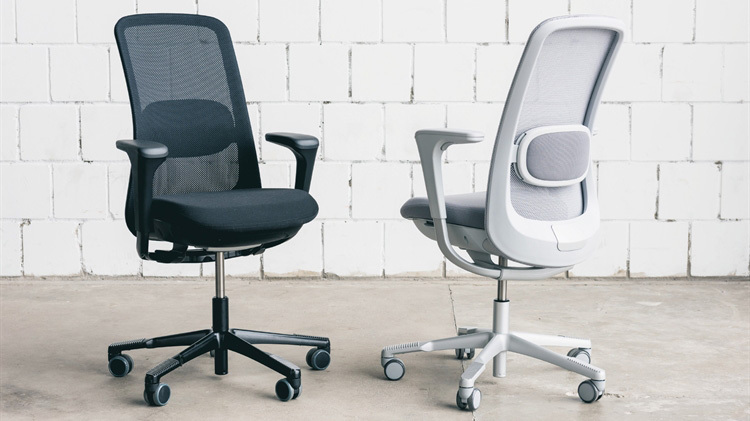 Most ergonomic chairs have a seat with a waterfall front that prevents the seat from catching you behind the knees. The seat should also be contoured to allow even weight distribution and it should be comfortable to sit on. Is the chair height adjustable? 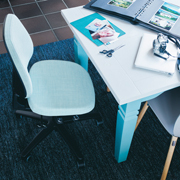 The chair should be height adjustable so that you can adjust the height appropriately. You should be able to adjust the height of the seat so that the front of your knees is level or slightly below level and your feet are firmly on the ground. In most cases there should be no need for you to use a footrest. The mechanism to adjust seat height should be easy to reach and operate when you are seated. 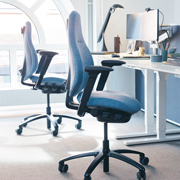 Does the chair have a comfortable lumbar support (back rest)? The chair should have adequate lumbar support that can be adjusted up and down and forwards and backwards to best fit your shape. For a chair that is used by multiple users this level of adjustment is essential. Does the backrest recline and support your back in different positions? Movement of the back while seated helps to maintain a healthy spine. 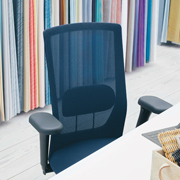 Look for chairs that allow you to easily recline, while supporting your back and neck. In the vast majority of situations you should not need a foot support to be able to sit comfortably on your chair. However, if you do need a foot support then choose a free-standing floor-mounted support that allows you to rest your feet out in front of you in a comfortable manner. Do you need a forward tilting seat? It can be helpful to change the tilt the angle of the seat to help to maintain a balanced seated posture.